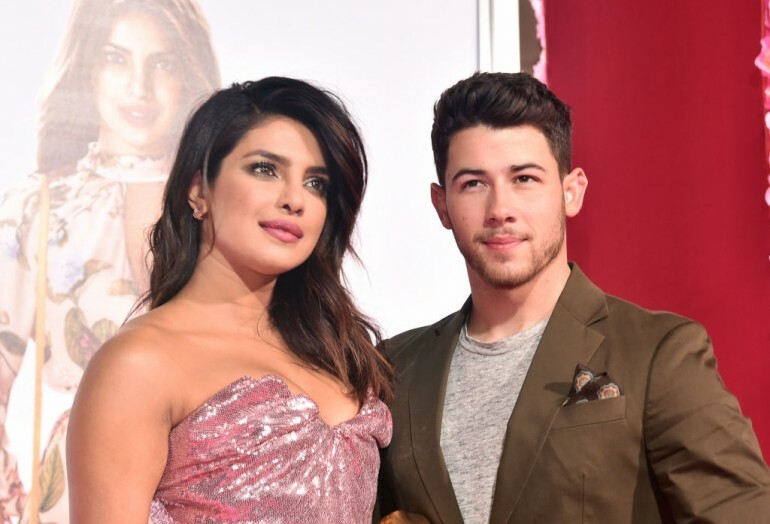 Priyanka Chopra and Nick Jonas got married in December 2018 after a whirlwind romance. Chopra revealed in an interview with Andy Cohen that she almost got cold feet before marrying Jonas. She stopped by “Watch What Happens Live” and answered Cohen’s questions about her wedding day during his speed round segment. Cohen asked her about Jonas’ reaction to seeing her in a custom Ralph Lauren wedding gown. Chopra answered that both of them cried. She revealed that she had a minor meltdown before tying the knot with Jonas. “I had a freak-out moment right before I walked down the aisle,” she revealed to Cohen. “I was about 40 minutes late [to the wedding], because I was just like, 75-foot train, ‘Do I even know what I'm doing?’” she added. “Like, a full freak-out moment,” she said. Chopra’s nerves went away as soon as she saw her groom-to-be, according to her. “But then that door opened, and I saw his face, and...,” Chopra then mimed a tear falling down on her face. The both of them (especially Jonas) got emotional seeing each other at the aisle. In early 2017, the couple first met at Vanity Fair’s Oscar after-party. In May of the same year, they attended Met Gala together, both wearing Ralph Lauren. At the time, Chopra denied dating rumors about her and Jonas. In 2018, romance speculations started again when they were spotted going on a lot of dates. In June of the same year, the couple was evidently flirting on Instagram. They liked and commented on each other’s posts, seemingly confirming their relationship. They also both have met each other’s parents at the time. At the end of June, they both made their relationship official by posting each other on their Instagram pages. In July, Jonas even reportedly shut down Tiffany & Co. to himself to find the right engagement ring weeks before. He waited until Chopra’s 36th birthday to pop the question, and Chopra was stunned speechless. The couple had a five-day wedding celebration in Jodhpur, India.